The rules listed on this page are applicable to ALL Gamer.LK tournaments and tournaments organized by Gamer.LK as a strategic partner. These general rules apply across the gaming titles listed to all teams, players, managers and spectators who register or attend the tournament. These rules will override any specific clauses in the game rules, unless otherwise specified. For tournaments organized by Gamer.LK as a strategic partner, organizers will NOT be allowed to overrule or change any of these rules without Gamer.LK’s prior written approval. The rules listed here are mandatory for all Gamer.LK Ranked Competitive tournaments and should be followed in conjunction with each game title’s game-specific rules. Any Gamer.LK Ranked Competitive tournament will carry the logo seen here. Certain rules listed are valid only for LAN tournaments. For game-specific rules please select the game below (click the icon). The rules listed are updated constantly and new titles are also added periodically. Please be sure to check back on the rules often. 1.1.1. 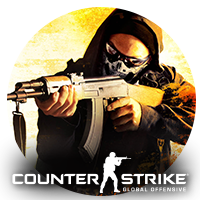 – Gamer.LK Ranked Competitive tournaments are open only to applicants born in Sri Lanka or possess Sri Lankan citizenships. 1.1.2. – If you are not a Sri Lankan, to take part in Gamer.LK Ranked LAN tournaments, you need to have resided in Sri Lanka for a minimum period of 6 months (on a Residence Visa or a person studying in a Sri Lankan University or Institute or an employee of a Sri Lankan organisation under a valid permit or documentation). You are required to bring sufficient proof of residence when you are attending the LAN tournament and expected to keep the same with you during the period of the tournament. Sri Lankans living abroad can take part in any Gamer.LK Ranked Online tournaments with no restriction on the number of players that can be abroad. 1.3.1. – In the case of qualifiers (such as at SLCG), a player is allowed to participate in a qualifier in the area he/she is currently residing in. In an instance where a player is not belonging to a region of all qualifiers, a player may choose the qualifier he/she wishes to participate. 1.3.2. – In the case of qualifiers (such as at SLCG), a player can participate only in one qualifier. If a title he/she wishes to participate is not being held in his/her region, he/she may choose a different qualifier to participate for that title. Audio equipment will not be provided and all participants are required to bring their own headphones. 1.5.1. – Team names will not be changed after registrations are closed and the draw is published. 1.5.2. – If a team name changes after the tournament is over, please inform us on [email protected] or their ranking will not be retained. – slander of Gamer.LK or it’s administration, partners or sponsors. Using alternative spelling, gibberish or wrong spelling in order to avoid the requirements mentioned above is forbidden. Account sharing in online tournaments across all games is strictly prohibited. All participants need have their own accounts for online tournaments. If found, this will lead to the disqualification of the team and the banning of the offending player/s in future tournaments as well. 1.11.1 – Any player banned from Gamer.LK will not be allowed to take part in any Gamer.LK tournaments during the period of the ban. 1.11.2 – This extends to both online and offline Gamer.LK tournaments. 1.11.3 – A link to a complete list of players currently banned from all Gamer.LK tournaments can be found at https://gamer.lk/blacklist. No player is allowed to be a part of multiple teams or gaming clans. If a participant is found to be multi-clanning or in multiple teams, the player will be banned for a minimum period of one year. In the case of teams, all teams the player was a part of will be disqualified. 2.1. – The rules for each game title are listed separately. 2.2.1. – The pre-match ready up time will be a maximum of 10 minutes in which the participant is required to plug in his/her devices, install drivers (ask for permission first even if its drivers that are already sent to us) and set up configs if he/she is using any. 2.2.2. – At the end of 10 minutes, a match should start with whoever players that are in the match server or lobby. Any team with players missing after the end of 10 minutes will be considered as having forfeited the match. If a sufficient number of players on both teams are not present, the first team to have a complete roster on the server will be awarded the match. 2.2.3. – Issues with headsets, drivers not functioning, etc will not be reasons to hold up the starting time of a game. No USB storage devices should be plugged into any of the tournament PCs under any circumstance. Failure to comply might lead to penalties for the infringing team or player. 2.4.1. – In LAN tournaments, teams and players must arrive at the venue at least ONE hour before their match. 2.4.2. – In online tournaments, teams and players must be online (on Teamspeak, in the game server, etc) at least THIRTY minutes prior to the start of their match. 2.5.1. – Tournament formats – double-elimination or knockout, will be announced on the tournament page on Gamer.LK. 2.5.2. – The number of match sets played during a tournament (best of 3 or 5 games) will primarily depend on the game title. 2.5.3. – However, in double elimination tournaments the finals should be a best of 5 games. 2.5.4. – In double elimination tournaments the upper bracket finalists will receive an advantage. 2.5.5. – At LAN tournaments, due to unavoidable circumstances, Gamer.LK staff may change match sets and these will be informed on the fly at the event. The Gamer.LK Ranking system will be used for the purpose of seeding to make the draws or group allocations as and when needed. No other ranking will be considered. 2.7.1. – Managers may be in the match area prior to the end of the warm-up period. They may return between games for up to 5 minutes before the next game in a series. 2.7.2. – Under no circumstances may a manager be in the match area while a game is being played, including during pauses. 2.7.3. – If a manager is found in this area or to be communicating with his team during tournament play then the entire team may be disqualified at the discretion of Gamer.LK Staff and penalties for future tournaments also imposed. 2.8.1. – Team Coaches are allowed in the match area during the warm-up period. 2.8.2. – Unless specified below, under no circumstances can coaches be in the match area while a game is being played, including during pauses, half-time, etc. 2.8.3. 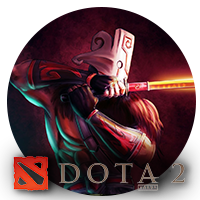 – In Dota 2, one coach is allowed to be with the team in the match area during the draft phase. The coach is allowed to communicate with the team during the draft phase but has to leave immediately after the draft is complete. Thereafter, coaches may only enter the match area again once the game is over and are forbidden from speaking to the players in the match area during the match (including pause times). 2.8.4. – In Counter Strike: Global Offensive, one coach may only communicate with the players during warmup, half-time, or during one of the timeouts that the teams can call. 2.8.5. – If a coach is found in the match area or to be communicating with their team during tournament play then the entire team may be disqualified at the discretion of the Gamer.LK Staff and penalties for future tournaments also imposed. 3.1.1. – In LAN tournaments, rescheduling may happen only at the discretion of the Gamer.LK Staff or Organizers (depending on tournament conditions, etc) and teams cannot request match reschedules. 3.1.2. – In online tournaments, rescheduling will ONLY BE ALLOWED FROM THE QUARTER FINAL MATCHES ONWARDS. No other matches will be rescheduled. 3.1.3. – If reschedules are allowed in a specific tournament, these need to be requested at least 48 hours before the match (if it is an online tournament) or at least 3 matches prior to the match (if it is a LAN tournament). 3.2.1. – The Game Network (eg: Steam, Dota, Blizzard, etc) is offline or unavailable due to a mandatory service breakdown or outage which has been announced officially. 3.2.2. – The Game Network (eg: Steam, Dota, Blizzard, etc) is offline or unavailable due to a sudden service outage which is experienced in the region/country and is notified online (on Reddit, the developer’s social media or discussion forums). 3.2.3. – At LAN tournaments, an Internet or network connectivity breakdown occurs. 3.2.4. – Gamer.LK Staff are unavailable for a match. 3.2.4. – Other instances not listed here and upto the discretion of Gamer.LK Staff. 4.1. – All matches played may be shoutcasted live and broadcast via Youtube, Facebook or other streaming platforms by Gamer.LK. 4.2. – At LAN tournaments, players are encouraged to always wear their headphones during their matches. 4.3. – At LAN tournaments, the live casters will be restricted in their commentary of live game situations, however in any circumstance where the “live cast is heard” by the players it will NOT be stopped and play must carry on. 4.4. – All teams must agree that the casting/game sound might interfere at LAN tournaments and must acknowledge that it is something they have to work around with and not request for unnecessary pauses and pleadings at the event. All broadcasting rights at all Gamer.LK Ranked Tournaments are owned by Gamer.LK. This includes, but is not limited to: bots, audio streams, video streams, GOTV, demos, Dota TV or television broadcasts. 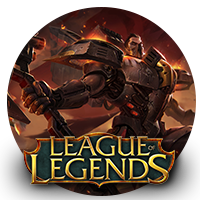 Gamer.LK can assign the broadcasting rights of a match or of several matches to a third party or to the actual players themselves. In this case, terms and conditions would have to be arranged with Gamer.LK before the match. Gamer.LK reserves the right to use, distribute, and modify all parts of any stream indefinitely. All ingame footage and assets are the property of the respective developers and publishers. Players and participants cannot refuse to have their matches broadcasted by Gamer.LK or any authorized broadcaster, nor can they choose in what manner of which the match will be broadcasted. Personal streaming is not allowed unless otherwise explicitly permitted by Gamer.LK. Personal Streaming of a Gamer.LK Ranked match in any game by a player without permission, can lead to the disqualification of the team and the banning of the streaming player in the tournament. Tournament streams will be delayed (approximately 2-5 minutes) to avoid player sniping. Teams that are found to be abusing a tournament stream/s will be disqualified immediately and the team will face severe penalties including bans. 6.1.1. – All players who take part in LAN tournaments are expected to be present with suitable attire and clothing (i.e. not in shorts and slippers/sandals). 6.2.2. – Players are encouraged to wear their clan tshirts or jerseys. Players are not allowed to be dressed in any attire with any vulgar or offensive print. 6.2.3. – Keep in mind that it is your responsibility to generate a positive image for eSports in Sri Lanka. 6.2.4. – Players who are not in the proper attire may not be allowed to play. Players at Gamer.LK tournaments must follow any instructions from Tournament Staff for any extra activities such as photoshoots, pre-game and post-game interviews, team intro rehearsals, etc. 6.3.1. – The match area is defined as the area immediately surrounding any competition machines (PC) that are used during tournament play. The Tournament Staff may define the match area at their discretion depending on the nature of the event and its location. 6.3.2. – After a match commences, the only persons allowed in these areas are the participating players, Gamer.LK Staff, Broadcasters and Organizers. 6.3.3. – No other persons including managers, well-wishers, coaches, etc can remain in the playing area once matches begin. Specific instances on coaches being allowed are detailed in Section 2 of these rules. Non-compliance by any such manager, or coach will be considered as an infringement and at the discretion of the Tournament Staff, be penalized accordingly. 6.3.4. – Players should not leave the match area during the pauses between games, without the Tournament Staff’s permission. Once a match starts and until it is completed players should remain seated at their terminal at all times. 6.3.5. – Players are strictly forbidden from eating or smoking in the match area or near any PCs. 6.3.6. – Smoking or vaping is strictly forbidden in the match area. 6.3.7. – Players are allowed to have beverages, but only below the table. Tables must be kept clear and clean at all times. 6.3.8. – Players are not allowed to bring any electronic devices, cameras or similar devices into the gaming area unless prior permission is given by the Tournament Staff. Such devices have to be handed to tournament officials before starting to setup before the first match. 6.3.9. – All mobile telephones must be SWITCHED OFF and should not be used during the duration of a match after it commences. Any player found to be using a mobile during a match (including during pause time, half-times, etc) will be penalized and the team may be disqualified from the tournament. 6.3.10. – Exaggerated loud noise and offensive language are forbidden. 6.3.11. – Paper versions of documents for tactical purposes are allowed in reasonable sizes and numbers (e.g. a notebook). Using any electronic versions, even on the Tournament PCs is strictly forbidden and could lead to the forfeit of a match. 6.4.1. – Players are expected to inform the Organizers or Gamer.LK Staff via email to [email protected] of any drivers required for the proper usage of their gaming gear in advance to the tournament. 6.4.2. – All tournament PCs will come installed with TeamSpeak (VoIP software) and/or Discord. 6.4.3. – A local TeamSpeak server will be provided by the organizers for best quality and minimal latency. 6.4.4. – Teams are encouraged to also make use of the Gamer.LK Discord Server (https://discord.gg/gamerlk) for communication requirements at the tournament. 6.4.5. – Any attempt to overclock or in any way alter the default PC configuration for an additional boost in performance is strictly forbidden. Any such attempt will lead to an immediate loss of the current match and can lead to a disqualification from the entire tournament. 6.4.6. 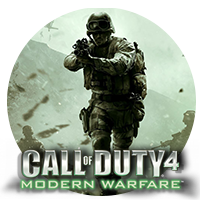 – Any attempt to download or install additional software, media or anything else on any Match PC by a player, before, during or after a match is strictly forbidden. 6.4.7. – Using the Internet access provided on Tournament PCs for anything other than gameplay is strictly forbidden. Players are prohibited from using the access to stream music, videos or other media. Teams who require their game configs and/or device drivers saved on the Tournament PCs, need to email them to [email protected] before the registrations close. 6.6.1. – A team reserves the right to award a walkover if they are unable to play or have the full team present for a match ONLY during qualifier rounds or group stage matches (at both online or LAN tournaments). 6.6.2. – Any team that reaches the semifinals or finals of a tournament and decides to give a walkover due to whatever reason will be automatically disqualified from the tournament and the next best team will be allowed to play. If the next best team is not present or a team cannot be contacted, the subsequent decision will lie with Gamer.LK staff. 6.6.3. – If in any case, there are two teams who are deemed suitable the choice will be made by way of a coin toss. 6.6.4. – The disqualified team will not receive any prize money of any percentage and the team will not be allowed to take part in a minimum of one Gamer.LK Ranked Tournament held in the immediate future. This suspension extends to the players of the team that receives this ban. 6.6.5. – Gamer.LK staff may at their discretion override these rules depending on the situation at hand. 6.7.1. – Swearing or any kind of hostility, racist or any sort of abuse verbal or physical towards another player is strictly prohibited. This includes chat messages in-game, verbal exchanges, etc. 6.7.2. – Insults on IRC, IM programs, Social Media, E-mail or other means of communication will be punished if the evidence is clear and is brought to the attention of the Tournament Staff. Particularly severe abuse cases with radical statements or the threat of physical violence can result in significantly heavier penalties including the disqualification of the player or team from the tournament and/or future tournaments as well. 6.7.3. – At LAN tournaments, please mind your language during matches. 6.7.4. – At LAN tournaments, players are strictly prohibited to be under the influence of alcohol or other psychoactive drugs in the match area. Smoking, vaping, drinking alcohol or using any psychoactive drugs in the match area is strictly prohibited. All participants are required to uphold the highest standards of fair play and sportsmanship. 6.9.1 – We have a ZERO TOLERANCE POLICY for any kind of harassment including but not limited to; demeaning language, threats, hate crimes, intimidation, non-consensual photography or recording, stalking, inappropriate physical contact, unwelcome physical attention as well as statements or verbal exchanges that threatens or expresses contempt of ethnicity, religious belief, sexual orientation, citizenship, appearance, body size, age, disability and gender identity. 6.9.2. – Depending on the gravity of the offence, significantly heavier penalties including the disqualification of the player or team from the tournament and/or future tournaments as well, may be imposed. 6.9.3. – Every participant has to show the needed respect towards other participants, the Organizers, Tournament Staff and Casters. The ZERO TOLERANCE POLICY applies to EVERYONE attending both LAN and online events, including but not limited to: Attendees, Press, Staff, Sponsors & Guests. 6.10.1. – Any participant who attacks or physically harms another participant, a player of another team, a Tournament Staff member, another attendee, press, sponsors or guest will immediately result in the perpetrator being disqualified from the tournament and banned from all future tournaments for a period of 2 years. 6.10.2. – The team which the participant represents will immediately be disqualified from the tournament and banned for taking part in any Gamer.LK Ranked Tournament for a period of 6 months. 6.10.3. – Depending on the severity of the incident, legal charges may also be pursued against the person/s involved. Players are expected to compete in a professional manner. Throwing a match, halting play without cause or showing a flagrant lack of effort will be construed as a violation of player conduct, and will be penalized appropriately. 6.12.1. – In the event of intentional or accidental damages to hardware/property, the person/s responsible is expected to pay the damages to Gamer.LK. 6.12.2. – Any attempt to make hardware changes (e.g. unplugging of peripherals without proper consent from the match referees, etc.) and software changes to the computers will be considered as damage to property. 6.13.1. – Alcohol and drugs in any form do not belong and are not allowed to be taken into the match areas. 6.13.2. – People found to be intoxicated and/or under the influence of drugs/other non-allowed substances will not be allowed into the match areas. Their matches will be considered as walkovers. 6.13.3. – People found intoxicated and/or on drugs may also not be granted access into the venue and/or shown off the premises. 6.13.4. – Smoking is strictly forbidden indoors and is only allowed in designated areas outside. Electronic cigarettes are also not allowed to be used indoors. 6.14.1. – We encourage everyone to immediately report any sign of harassment, both to yourself or if you witness it happening to someone else. 6.14.2. – Report it to a Gamer.LK Staff Member who have tags clearly marked with STAFF on themselves. All the above player conduct restrictions are imposed upon entry from the gate of the Tournament premises (security checkpoint or main entrance gate). Any incidents that take place beyond the premises or during transit are not covered by these rules and Gamer.LK Staff or Organizers cannot be held liable for any such incidents either. 6.16.1. – Gambling in any form, including betting on the outcome of games has no place in the world of Esports or even video gaming in general. Gamer.LK has a strict policy of any form of gambling being prohibited. 6.16.2. – Any detection of the same will lead to severe penalties being imposed on the offenders. This includes match fixing and related offences as well. 6.16.3. – No players, team managers, staff or management of attending clans/organizations may be involved in betting or gambling, associate with betters or gamblers, or provide anyone any information that may assist betting or gambling, either directly or indirectly, for any match in the tournament. 6.16.4. – Any player found to be in breach of this rule will face severe penalties including lifetime bans from all Gamer.LK Ranked Tournaments. Team official, staff, management will similarly face the maximum penalties that can be issued. Match fixing is defined as the act of arranging the outcome of a match prior to its being played. Match fixing is strictly prohibited and all individuals involved will face severe penalties. Any player/team found to be cheating including but not limited to in-game cheats, faking match results, faking match demos, faking or ringing a player, playing with a disallowed player, impersonating a player/clan/organisation, will face severe penalties including lifetime bans from all Gamer.LK Ranked Tournaments. 6.19.1. – Offering money/benefits, making threats or exerting pressure towards anyone involved with Gamer.LK, its partners or sponsors with the goal of influencing a result of a match is considered competition manipulation. 6.19.2. – Any player found to be in breach of this rule will face severe penalties including lifetime bans from all Gamer.LK Ranked Tournaments. Team official, staff, management will similarly face the maximum penalties that can be issued. Spectators are an important part of the game and at all times, in the spirit of good sportsmanship and favorable spectator involvement, fans are strongly encouraged to be loud, to be proud, but to be POSITIVE and WITH CLASS. Spectators shall at all times respect Tournament Staff and players and extend all courtesies to them. Taunting, foul and abusive language, noisemakers, inflammatory remarks, and disrespectful signs and behavior will not be tolerated. 7.4.1. – Any person(s) using inflammatory language and/or displaying inciting actions will be warned by the Tournament Staff that continuation of the activity will result in their ejection from the premises. 7.4.2. – If the language and/or activity continues, the offending person(s) will be removed. 7.4.3. – In a particularly flagrant case of inflammatory language and/or inciting action, the offending person(s) may be removed immediately without a warning. 7.4.4. – The determination of whether certain language is inflammatory and/or action is inciting will be a judgment made by the Tournament Staff and will apply whether the offense is aimed at the tournament participants, Tournament Staff, other spectators, etc. Any signs, banners, shirts, noisemakers, etc. deemed inflammatory by the Tournament Staff, or that are in violation of venue policies, will be removed. At no instance (at a tournament or outside) should a player or tournament official be targetted or named for any abusive or in any demeaning manner (through public posts on the forums or social media groups/pages, Steam profile names, etc). All players and officials should be treated with the respect they deserve and any such misconduct on the contrary may be penalised. 8.1. – For online tournaments, it is compulsory that all teams use the Gamer.LK Public TeamSpeak 3 Server (accessible at ts.gamer.lk or 108.61.164.41) for communication. 8.2. – Specific channels for the tournament will be available during the period of a tournament. Players connecting should have their nicknames matching their gaming names (or gaming profile names) as submitted on the registration. 8.3. – Please note that this will be compulsory for ALL teams regardless of skill level or team rank. 8.4. – In instances where connecting to the TeamSpeak server is not possible, players are required to join the Gamer.LK Discord Server (https://discord.gg/gamerlk). 8.4. – For online tournaments, any team unable to have their full team on either voice server might be penalized and the match may be awarded to the opponents. 8.5. – At LAN tournaments, a local TeamSpeak server will be provided and players are encouraged to use it. The Gamer.LK Discord Server will also be available for use. 8.6. – At LAN tournaments, players who connect to other online TeamSpeak/Discord servers or their own clan servers, should not complain of latency and delays in the network. The organizers and/or Gamer.LK Tournament Staff will not entertain such requests and matches cannot be paused for the same. Violation of the rules or failure to comply with Gamer.LK Staff may lead to the following penalties. Depending on the severity of the offense, levels of penalties may be skipped. 9.1.1. – Warning: After a warning is given during a game it will continue until the game is completed. If three warnings are accumulated then the team will be disqualified from the tournament upon receiving the third warning. 9.1.2. – Game Loss: Game loss given to a team means that the team loses the current game no matter what the result of that game is. A win would be awarded to the opponent instead. In a best of 3/5 games situation, this refers to the game that is being played. 9.1.3. – Disqualifications: A team disqualified will be ejected from the tournament. They will not be able to proceed in the bracket. 9.1.4. – No Show: A team that registers for the tournament and doesn’t show up for a match or pulls out of the tournament will be considered “no show”. This will affect their Gamer.LK ranking as this will reduce their points. In the bracket however, the scheduled match would be considered a walkover. 9.1.5. – Ban: In extreme circumstances, a team/player might be banned from playing in any single match (disqualified) in the ongoing tournament. Based on the severity of the violation this ban might extend to future Gamer.LK tournaments. Players who are caught swearing or behaving in a hostile manner towards their opponents or staff or spectators will be issued with a warning and suitable penalty (eg: draft penalty in Dota 2, etc) upon their first infraction. Continued infractions will result in the following: forfeiture of a ban upon the second incident and forfeiture of the match upon the third incident. Players who are caught throwing a match, halting play without cause or showing a flagrant lack of effort will be issued with a warning and suitable penalty (eg: draft penalty in Dota 2, etc) upon their first infraction. Continued infractions will result in the following: forfeiture of a ban upon the second incident and forfeiture of the match upon the third incident. Based on the violation or failure to comply the following line of communication will be undertaken to inform of any relevant penalty. In case the Player or Team Captain wishes to dispute or challenge the decision they are free to do so and follow the steps set out in the clause below. 11.1. – Any match result or outcome in an online tournament is open for disputes and any player or team is requested to email us on [email protected] to submit their submissions. 11.2. – Submitting a dispute will not guarantee action but will merely draw the attention of the Gamer.LK Administration towards the match and particulars submitted. 11.3. – Disputes submitted will be treated with confidentiality and details of who reported what match, etc will not be publicly disclosed. Disputes submitted will be received by the Gamer.LK Administration, after which the necessary particulars will be passed onto the relevant Tournament Staff. 11.4. – Disputes on a match need to be done within 18 hours of match completion. Submissions sent thereafter will be ignored and not considered. 11.5. – Disputes at LAN tournaments must be first made to the Gamer.LK Tournament Staff and thereafter they will escalate or decide as necessary. Any player or team who feels that a Gamer.LK Staff Member (Referee, Caster or Event Staff) acted in a manner contrary to the spirit of the game and lacking professionalism may report such instances directly to the Gamer.LK Administration. Please email such instances to [email protected] with all the details surrounding the situation. All reports will be kept confidential and the Administration will get in touch directly to discuss the matter further. Gamer.LK reserves the right to ignore or overrule any of the above-mentioned rules in order to make the competition as fair as possible. Teams and participants acknowledge the right for Gamer.LK to modify the rules and regulations as and when needed. Such modifications need not necessarily be publicly announced during the progress of a tournament. No person/s shall hold the Organizers, Gamer.LK Staff (Gamer.LK, InGame Entertainment), Referees, Sponsors and Partners liable in any manner whatsoever for any circumstance or situation arising from or at any of our events including but not limited to acts beyond its control, including without limitation, acts of God, acts or regulations of any governmental or supra-national authority, war, terrorist activities or national emergency, accident, fire, lightning, riot, civil commotion, explosions, strikes, lockouts, industrial disputes or epidemics. Legal proceedings are not permitted. The Organizers and Gamer.LK reserves the right to deny entry to any event to anyone who violates the event rules.